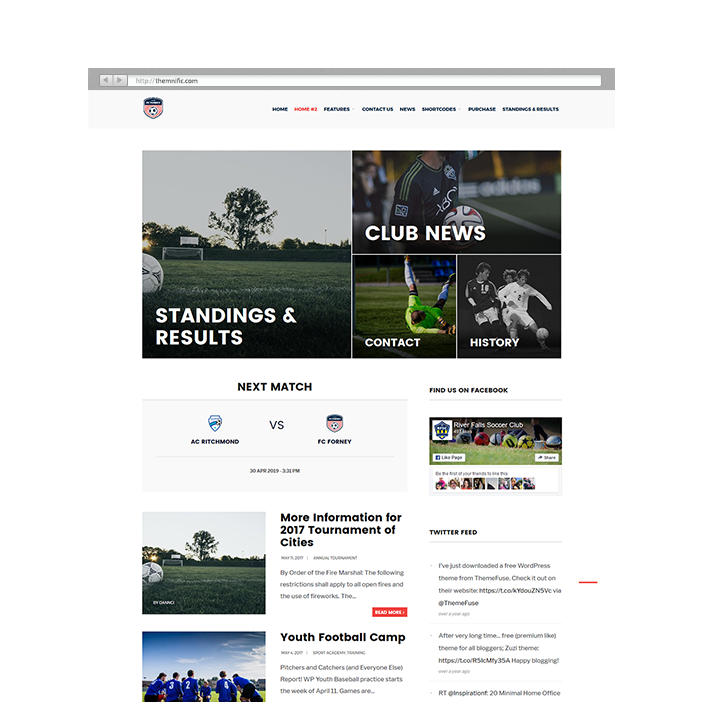 A modern WordPress theme for SportsPress (Sports Club & League Manager) plugin. 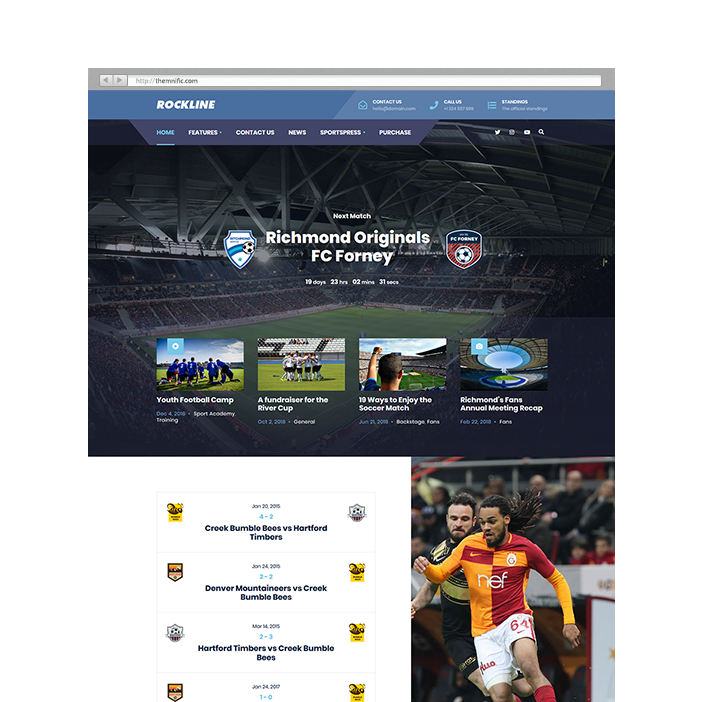 Create, edit, manage and display fixtures, results, automated standings, players rankings, or individual profiles for clubs, players, and staff in fresh, clean and modern design. 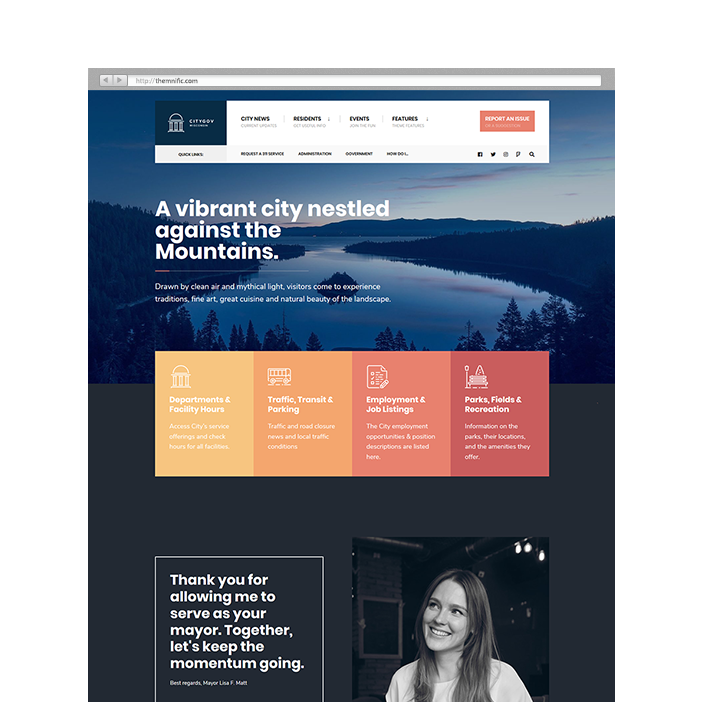 A neat, social program WordPress theme with a solid, durable and functional design. 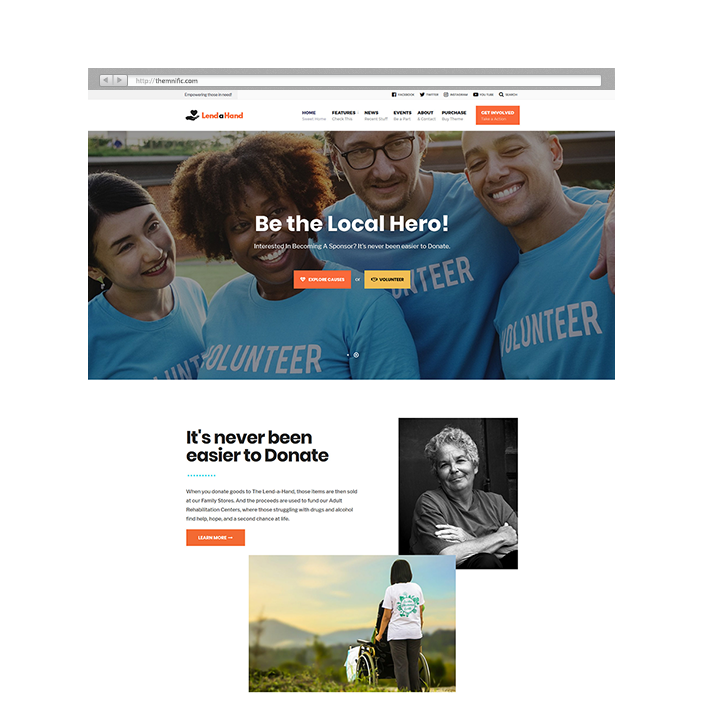 Lend a Hand is an ideal choice for any fundraising, social or charity organization or websites which help people in need. 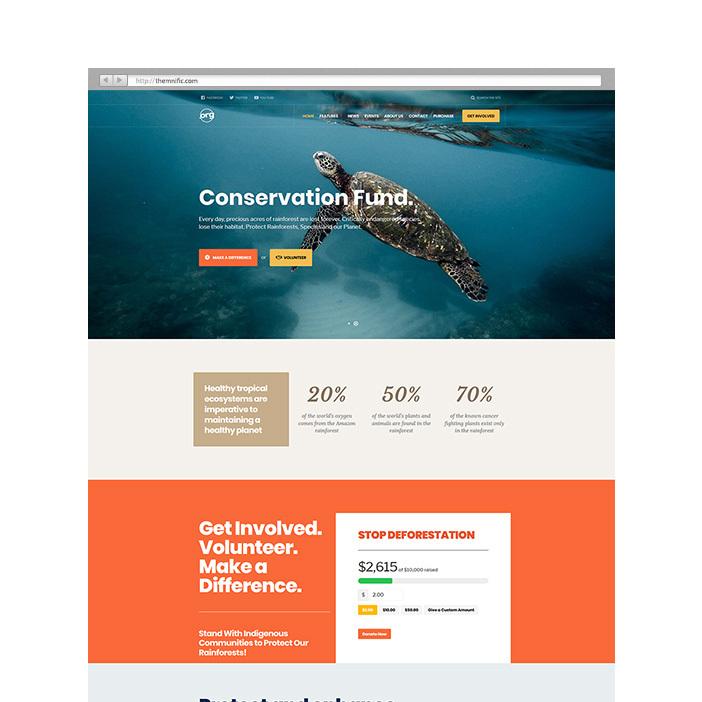 After doing extensive research on multiple donation, NGO, charity, foundation and nonprofit websites, we have developed this theme which comes with an easy-to-use back-end (admin dashboard) and includes support for an exclusive donation and fundraising plugin - Give. Cultera - A beautiful, elegant and easy-to-use WordPress theme with a lovely and classy functional design. 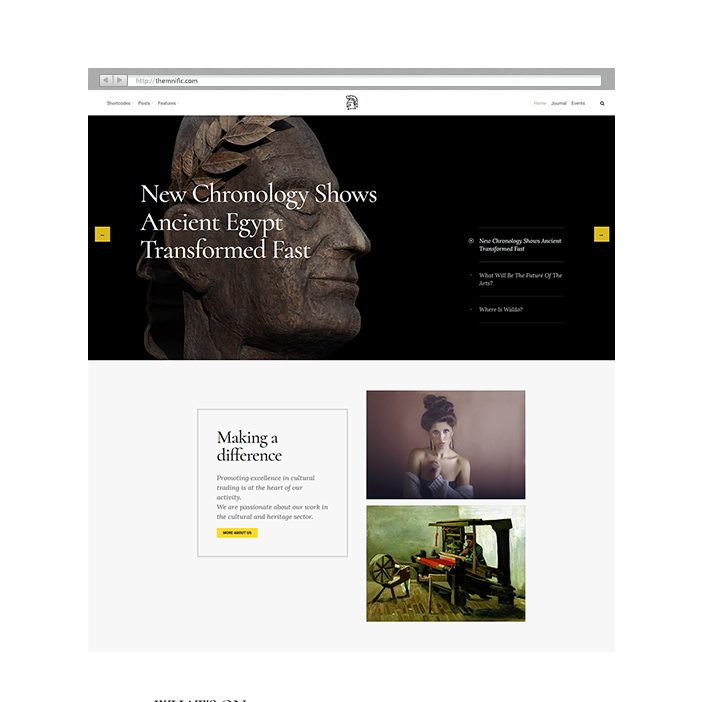 Cultera is an ideal choice for any culture or art magazine website. We have developed this theme with elegance in mind. Cultera comes with a native layout and includes support for an exclusive events plugin - Events Manager. Easy-to-use back-end dashboard powers flexible, modular and responsive layout; theme includes lots of features like Drag & Drop page builder (Elementor plugin), support for WooCommerce and much more.